You Are Here: Home > Marino Trade Pledge! 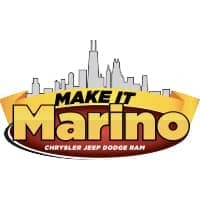 Make it a Marino Trade-In! We’re Illinois #1 Certified Pre-Owned Dealer 4 Years Running! We make the Trade in Process Easy, Fast, and Fun! We Offer Top Dollar for your Trade! 3 Quick Steps for Your Best Deal! Get Your Offer in Approximately 30 Minutes! 6 Acres of Vehicles to Choose From! No Trade? We’ll buy your Car Even if you don’t buy from us! Schedule an appointment today to bring in your vehicle to our dealership for your free appraisal! After we appraise your vehicle, we will give you a no-haggle price to purchase your vehicle on the spot. It’s just that simple! Fill out the form or contact us at (844) 827-4514 to schedule an appointment today!